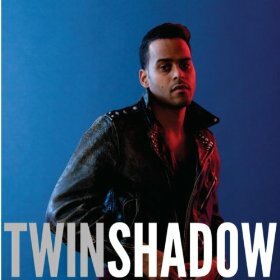 Twin Shadow’s debut album, Forget, produced by Grizzly Bear bassist Chris Taylor, received rave reviews. Two years later, George Lewis Jr. has taken on the duty of producing his sophomore effort under this stage name. Combining the electronic-tinged elements from ‘80s music with dance simplicity, Confess is certainly a worthy follow-up for this talented artist. Opening the album with “Golden Light” was an inspired choice because the simplicity and repetition make the song seem familiar. It’s the sort of song that you could have heard a thousand times out on the town, and its uplifting message really hooks you in. “Patient” takes this a step further, going from lust to love or at least laying the foundation for such: “I’m patiently waiting for you to say just what you mean and give up everything.” Of course, it also helps to have a wicked guitar solo to break up the monotony. The new wave elements of this album can make some of the songs blend together, but Confess does sound unified and structured. The subtlety and restraint in the lyrics just makes this worth several spins to really get the most out of each track.